Read more at CSR Now! It would be difficult to think of a field that is more old-power than the arts. As the former executive director of a nonprofit theater company, I know that firsthand. Arts organizations – particularly in the performing arts – are usually headed by an artistic director, music director, or general manager who has almost total control over the artistic content that is produced, and that artistic content is then marketed to the public by the managerial staff who has little or no say on these artistic selections. Closely connected with this old-power/new-power dynamic is the way that technology has been embraced in these organizations (or not). 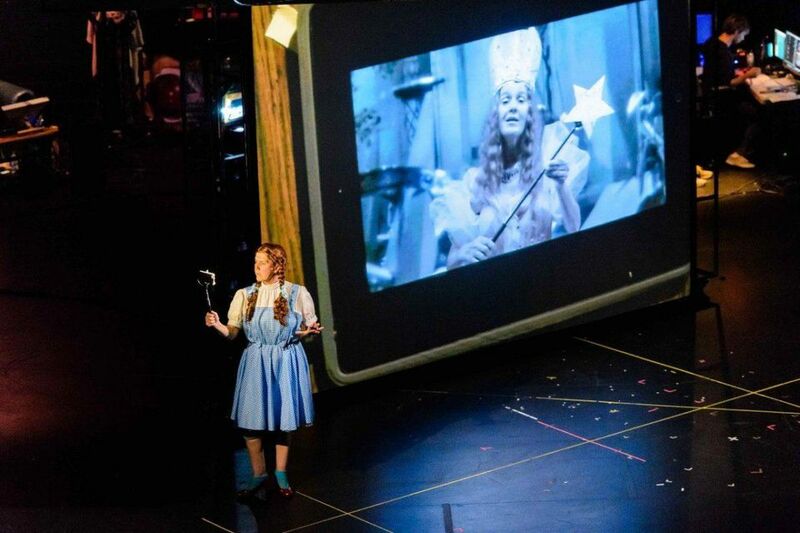 Traditional performing arts institutions are lagging behind other kinds of groups when it comes to embracing interactive technology in their performances, particularly methods that empower their audiences. While there are some terrific examples of productions that encourage audience participation, and even the use of smart devices (e.g., a Merce Cunningham dance where audience members were given iPods on their way into the theater so that they could choose what music to listen to during the performance), most programs strictly prohibit the use of phones, texting, and the taking of photographs. Worse yet, research from the National Arts Index shows that the percentage of the U.S. population attending a live performing arts event dropped nine percent over a recent ten year period. And, according to the most recent National Endowment for the Arts Public Participation Survey, the share of younger generations attending the arts is also declining. On the contrary, the average age of a Broadway audience member in the 2016-2017 season was 41.7 years compared with 44 years in the prior season according to a recent demographic study. And, the National Arts Index reports that participation in the arts using technology, and in the arts in “non-arts venues” (e.g., parks), is actually increasing. What if performing arts organizations to try a new approach to a portion of their programming? One could conceive of a “people’s choice” play or opera as part of a theater’s or opera company’s season, or a series of concerts curated by an open selection process for a symphony orchestra or chamber music ensemble. The artistic director could choose the finalists – just like the judges do with American Idol and The Voice – but then the people could choose a play or opera to be produced. What might it look like for artistic directors to share the process of building a season more broadly? What’s more, how might this change the engagement for audiences and deepen that relationship? We tried a new-power approach to philanthropy at American Express with our Partners in Preservation program, which we sponsor with the National Trust for Historic Preservation. Created in 2006 at the height of American Idol’s original run, we embraced this combination of old power (a panel of experts choose the historic sites that compete for funding) and new power (the public chooses the grant winners) in a way that has been immensely successful at engaging the public, government officials and the media in rallying support for historic preservation projects in their communities. After 11 years, this partnership has awarded nearly $20 million in preservation funding to 250 diverse historic sites in twenty National Parks, fourteen different cities – including Atlanta, Miami, San Francisco, Chicago, New York, Boston, New Orleans, Seattle, Minneapolis/St. Paul, Birmingham, Salt Lake City, Cincinnati, Los Angeles, and Washington, DC, and 12 Main Street communities across the country. More importantly, it has engaged millions of people directly in the process of deciding which historic sites should receive funding from American Express, and it’s generated billions of positive media impressions for these important places along with increased funding, visitors, members and donors. I’m confident that arts organizations can use their creativity to find ways of embracing new-power ideas alongside of their old-power traditions. It will take some experimenting, and it might upset a few older audience members, patrons and staff members. But, the survival of the arts depends on attracting and including new and younger audiences and donors, and this will require a concerted effort to break out of the old-power mindset. CSR NOW! IS A WEEKLY BLOG BY TIMOTHY J. MCCLIMON, PRESIDENT OF THE AMERICAN EXPRESS FOUNDATION, DESIGNED TO GET AT WHAT'S HAPPENING IN CORPORATE SOCIAL RESPONSIBILITY TODAY -- FROM THE POINT OF VIEW OF A CORPORATE PRACTITIONER.